During today's final Super Smash Bros. Ultimate Direct broadcast it was confirmed that three new fighters will be included in the game - although only two of those will be ready at launch. 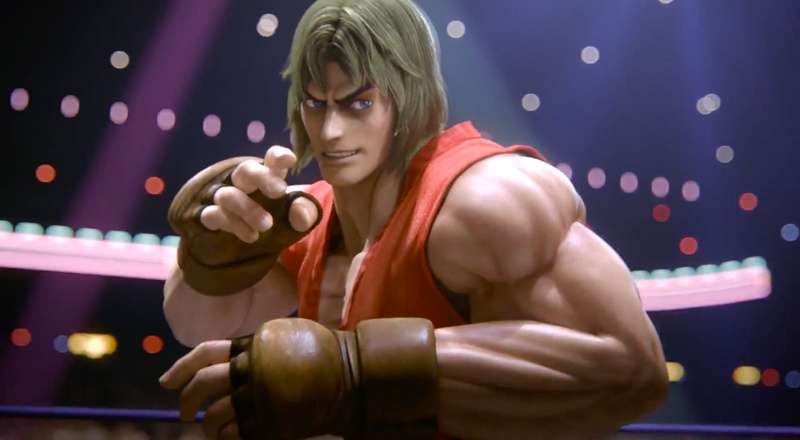 Ken from the Street Fighter series was the first to be shown off; as expected, he's Ryu's 'echo fighter' and has the same basic moves. However, Ken is faster and some of his moves are slightly different to Ryu's - for example, his Dragon Punch is more powerful, and - as is the case on the Street Fighter series - is accompanied by flames. Next up was Incineroar, from the Pokémon series. This particular monster has a pro-wrestling moveset and looks pretty powerful. That brings the roster to 74 characters, but the Smash Direct ended with a revelation - another fighter is in development but won't be available at launch. The Piranha Plant from the Super Mario franchise is being offered as an early purchase bonus and won't go live until a few months after the game is released. And that's not all; it was also confirmed that DLC characters will swell the lineup further over the next 12 months. Phew! So much salt... it is delicious. I'm totally maining Piranha Plant. Do you hate us Sakurai? It's because of Waluigi, isn't it? Personally have never been into smash but my god people can’t say they don’t get value for money with this game. It’s incredible how much is in this. Think this will sell very very well indeed and so it should based on what I’ve seen. Well done, Vergeben. And it looks like we have our novelty character too. Ken was an easy echo fighter, and a new gen pokemon is tradition in Smash. But Piranha Plant really came out of left field. More excited by the plant than anythin else in the Direct. When a plant gets in over Isaac and Banjo. Piranha Plant really did look like an awesome character. That saved the Direct for me. The lack of trophies (and the neat facts and tidbits) is very disappointing. I don't need the 3D models per se, but I want the trivia. Does a character having a Spirit rule it out as DLC like assist trophies probably do? I saw Dixie had a Spirit, but I'm also still holding out hope she gets in as DLC. Of all the characters not to make it yet. What about Kamek to add to the Yoshi series representation? Was in Woolly World. But then this is an odd franchise. 6 versions of Smash, and no sign of a Super Mario Bros. 3 stage; only one of the most successful and popular games of all time. Piranha Plant was a big surprise, and something these fake leaks couldn't ruin for me. I'm delighted. The Spirits Mode looked disappointing initially, but that beautiful hand-drawn world map, the cutscenes, and the big bosses more than made up for it. Is it Subspace Emissary? No, but it's the best single player content we've had since and I can't wait. As for the Grinch leaked, I'm a little disappointed that we didn't get Banjo, but ultimately happy that I was genuinely surprised with this Direct. The DLC characters will give me something to look forward to months after release. Ok, so how do you get the Pirahna plant? Can you only get it if you buy digital?? I have patiently waited many years for the day I could take on Ken with a Piranha Plant. God bless Nintendo. What happens when Piranha Plant eats a Super Crown? So preordering Smash or registering the game will get you Piranha plant right? But you can still get him through the fighter pass right? Spirits thing looks very convoluted. Much meh, but the piranha plant was a weirdly interesting character choice. So in order to download it when it’s out one just needs to buy a new copy and retrieve the Gold Points? Is that it? Because they made it sound like a pre-order/pre-purchase thing, but from what I understand one could buy a sealed copy in a year, retrieve the points and still get it. You probably will get him with the Fighter Pass, but I don't think he counts as the 5 upcoming DLC characters. @Bunkerneath I believe they said you have to register the game through My Nintendo before January 31 to get Piranha Plant - I assume physical works too. @clvr The gold points need to be registered before 31st January. @Frenean Yeah but my physical has been on pre-order on amazon since it first was announced, so would i still get him?? @Franklin I assume you mean Super Mario Bros. 3? In which case, there's at least the Super Mario Maker stage (that turns into Super Mario Bros. 3 style roughly 25% of the time). Still, I see your point. A good old autoscrolling airship stage (the dangerous kind) would be pretty fun. I think I got a free fighter on Smash Wii U and 3DS too by prepurchasing and then they added it to the pass later on. Id rather Piranha Plant over Incineroar. Its not surprise they added a pokemon from the most recent generation, but i really dislike its design. @FuseBlues thank you, that info totally passed me by! @Bunkerneath You will. You pop the game in and redeem the games (as in for the gold coins) and that will enable you to get him when he's released. 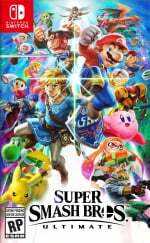 Is Piranha Plant one of the 5 DLC characters? This wasn't really clear. Not trolling, but why do people care so much about digital trophies? I mean, physical sure... but what's the big deal about a virtual representation of a trophy? Come here, @LasermasterA. Let's grieve together. I had no idea how much I wanted to play as a plant until today. The whole encyclopedia aspect was a big draw in Smash. Judging by your profile pic, you always knew. This game looks so massive. Really looking forward to exploring all of these features and battle options. The team outdid themselves. Should be a huge seller. "Piranha Plant takes root in Super Smash Bros. Ultimate! This fighter will be available as an early-purchase bonus for players who purchase the game between 1 November & 31 January. This fighter will arrive around February 2019, and look forward to a new amiibo figure on 15 February as well! Digital pre-orders will receive a code for the character automatically when it’s released, while players with physical copies of the game will need to register their purchase with their My Nintendo account to receive the code." @AlexSora89 Haha, snivy is a plant yeah but not piranha plant level. The dude legit is fighting out of a pot. Piranha Plant is the best troll. Also excited for the DLC: there's still potential for Geno in Smash! (But poor Isaac got the Assist Trophy treatment...) Adventure Mode looks really neat but I still don't quite understand how Spirits works. @alphatrinket it's definitely because of Waluigi. And I love it. You get Piranha Plant by registering your physical cart through the redeem My Nintendo gold points. I'm guessing within a specific time frame (I guess until he's ready to be released). It won't matter I assume as they will probably sell him later on separately or included in the Fighter Pass. He will be sold separately and won't be included on the Fighter Pass. Spirits mode is aimed at the Japanese mobile crowd? I'm pretty sure the Piranha Plant getting in is Sakurai's f-u to the leak that spill earlier. Ken, Isaac, Mach Rider, Banjo-Kazooie, the Chorus Kid, and Geno were going to happen but the leak ruin it so now Isaac got turn back into an assist trophy alongside Takamaru, Geno and Banjo-Kazooie got held back probably as paid DLC soon, and Ken and the Pokemon got in instead. I'm not even sure if Mach Rider and Chorus Kid will be considered for the DLC. Now I'm glad they finally have an Adventure Mode, can't wait to try it out. Hope the story is deep and interesting. For those crying when Nintendo characters like Mario and Luigi got killed, well in this trailer everyone got killed. Love all of it. Piranha Plant is so perfect in so many ways. Completely out of left field yet easily one of the most iconic fodder in gaming. Awesomely unique moveset to boot. Sakurai needs to tickle us with this eccentric mindset, it's part of what makes the SSB series so special. @RushDawg I don't think so, the Piranha Plant is probably just a bonus. She's a you can take it or leave it kind of character. So basically a lesson in how to make controlling a character inside a pot fun for a certain Bennett Foddy, amirite? It's confirmed on Nintendo's Twitter. You have to register the game until January 31, 2019 to get Piranha Plant for free. Ken looks like he’s gonna be fun to use. Did you understand how it works for Piranha Plant, Retro? Because I don't know if the preorder is the only way to get PP or if I can also get the guy as a separate purchase as it happened with Mewtwo back at the beginning of the post-launch phase of Smash 4. So is it like Mewtwo's case then? Piranha Plant is yet another reason why Nintendo outshines the rest. They’re willing to take chances and I absolutely live for these moments. I’m so excited! You're joking, right? I don't mean to insult you, but that's honestly one of the dumbest comments I've ever read on this site. Do you think Sakurai is so petty that he'd take a playable character out of the game, when fighting game characters are hard to develop and probably take a while, especially when the roster is so big and they have to balance it that much, just because some basement-dwelling neckbeard fabricated a leak on the internet? You insult the man. And the obviously fake Grinch leak is proven fake. Also, Pirahna Plant is hilarious, but I would much rather have seen a distinct character instead of a common enemy with no story or individual identity. It definitely is better material for an assist trophy. @AlexSora89 The eShop says that Pirahna Plant will also be available as a paid DLC at a later time. Maybe Nintendo is handing out "fake leaks" as well to destroy the credibility of the leakers. I don't think the Chorus Kids would make it to Smash as fighters tbh. Maybe an assist trophy. Haha Piranha Plant looks fun to use. Yeah. Still regret buying both Smash Wii U and 3DS. It's just not for me. I'll eventually buy Ultimate if I can find a nice deal. Smash Bros. Ultimate was--and still will be--an amazing game, and Sakurai has filled it to the brim with content, so I mean no hate or disrespect by what I'm about to say. But this Direct felt (to me in my personal opinion of which we are all entitled to and, therefore, shouldn't be roasted in the comments for expressing who we are because we live in free countries after all and all love games and this is a very long parenthesis) like a bad April Fool's joke no one would fall for. This time four years ago: "MEWTWO IS ON THE WAY!" People loved that. 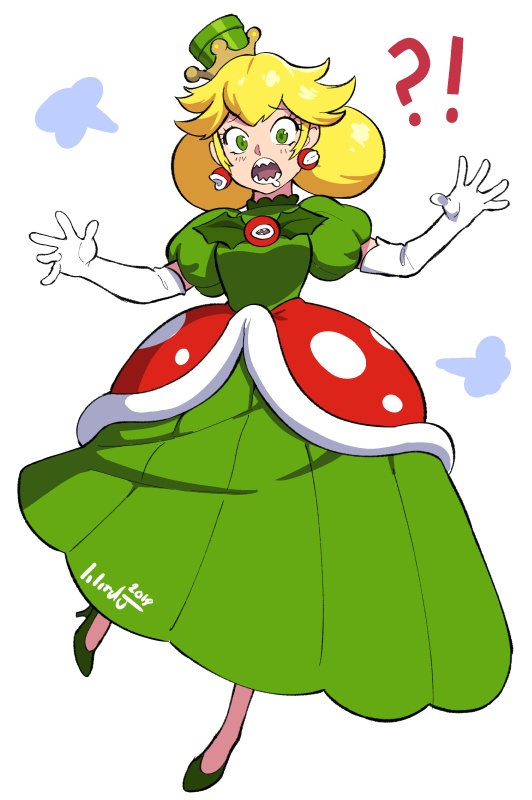 Now: "PIRANHA PLANT IS ON THE WAY!" What? Really? I don't want that next to Pac-Man and Mega Man and Ryu and Simon. I know it's more content, but I would rather Sakurai have put that development time into getting a relaxing massage or taking his dog for a walk instead. 40 minutes sounded like they were going to have a ton of announcements, but most of it felt like filler. Their headlines included the "Help" menu and "Brightness" settings. Why? The far shorter Smash Direct from a couple months ago just hit on every cylinder, but not this one. And let's not forget how they basically said, "We know we've started making you pay for a subpar online service, but we highly recommend you go out and buy an external adapter because we acknowledge ours is trash." Trophies are gone in favor of what are essentially Brawl's stickers, and what I saw of Spirits mode just didn't look that great to me, personally. Hopefully the bosses will be fun, and maybe there will be a boss rush mode. Galleom is returning from Subspace Emissary, which is super cool! But the special challenges like, "fight this character while he constantly taunts you" just felt kind of lame to me. No Smash Run, as well. Where were even the modes like Break the Targets and Home Run Contest? Were they cut, too? I apologize for being so negative, and I try not to be for fear of being attacked in the comments. Again, this is gonna be a great game and Sakurai has poured his heart and soul into it. But this Direct just did not do it for me in the slightest. Maybe they could have spaced out some of the announcements better? Perhaps the fake Grinch leak set my expectations too high. If you were blown away by this Direct, I'm happy for you. I'll still be there on day 1 to buy this game. Whilst the direct was disappointing in terms of new characters the line up is already thankfully amazing. Still I do like the look of Piranha Plant so it was nice for one of the surprises to actually land. Hahaha, I love it. Sakurai gave all the Waluigi cultists the bird with Piranha Plant. I'm rolling!!! YUS! Everyone can get it then! @Frenean That still doesn't explain how Ken got in, he was part of the leak and I'm sure Isaac and Banjo probably were going to be kept in too. My guess is that Sakurai kept one of the character from the leak, add in the last Pokemon and kept us guessing and hoping with the DLC and yes I'm one dumb muthfk*er cause this is what I do here in NL. I'm not here to bore people with real thing, sometimes it's fun to theorize the subject. Also to credibility of the leaker, he's not just a basement dweller, the guy had a Linkedin page and formerly work at Bandai Namco which is a partner dev that work with Sakurai on the game. Maybe the leak simply wasn't true? There's no reason for him to axe a playable character. None. Not because of a leak. Piranha Plant won't be included in the fighters pass but will be sold separately later on. But you can get him for free by registering your cart or buying digitally until January 31, 2019. Ken's hair should be a bit yellower. @AlexSora89 They say she's a pre-order bonus for a limited time only that means you can only get her for free through the pre-order. Haven't heard if they will make her available as paid DLC later but if you pre-order the game you may get a code to add her to the game. The thing is if you don't want her there's no loss as she wasn't part of the main roster. She's probably also not part fo the 5 DLCs that's coming, my guess is that those are up to the ballet. @Not_Soos I understand where you're coming from but the Mewtwo comparison just doesnt fit imo. You're acting like there have been no troll characters in the past. What about Mr. Game and Watch or R.O.B. ? R.O.B. didnt even have anything to really work with they just used his model and created moves because they didnt have anything to work with. Piranha Plant is a pretty funny troll character not only because he's very well known (everyone who ever played mario knows it), but because he actually has games and stuff they can form a moveset with. What I think was pretty bad was that he was the last character shown. If they wouldve shown Piranha plant in the last direct and the last character they would've revealed would be King K Rool instead people wouldnt have minded at all so i think the timing is the problem imo. But the direct was pretty good imo. Spirits mode looks cool, Light Mode looks really good, Online Modes look good and ranking system too so I would give this direct an 8/10. I can understand if you dont like it that much tho. It appears that Piranha Plant is still available as paid DLC, just later. Now all we need is an event match (or Spirit match) where you have to traverse Temple with Piranha Plant holding a hammer with no time limit. This Direct absolutely murdered my hype for this game to be honest. Don't think I'm even going to bother buying it at launch now. I didn't. Saved me some money for Mewtwo that I would have spent anyway. All 3 fighters look amazing. I like Piranha Plant especially, it feels like a way to mess with the leakers. Incinaroar looks like a neat character, and I think he might actually be Smash's first grappler. Finally Ken looks cool but I'm a bit disappointed they didn't add his shoryuteppa. Yup, I heard! Thanks for the info! I think the main problem a lot of people is having with what is for all intents and purposes the first dlc character is is at the end, PP is just a generic mook. People might be afraid the characters for the fighter pass will include Kremlin, Moblin, Space Pirate, Wadle Doo and Bandit. Again, it could still be Nintendo giving out both true and fake leaks. Maybe it got out of hand and they just have to confirm it and hand out a fake one to go along with it. The three fighters all seem quite welcome despite the fact that Piranha Plant was out of a (glorious) left field. @Frenean You don't need to preorder, just register the game or download it before the time period is over. And yes, they'll probably sell it afterwards like Mewtwo in Smash 4. @geheimxy I think that's my biggest gripe, that this was the last character reveal. Also, to be fair, I was pretty young when Brawl came out and basically a baby when Melee came out, so those "troll" characters wouldn't have disappointed me because I wasn't a part of the hype cycle. But even so, I feel like there's sort of a place for those characters. Maybe not ROB as much, but Game & Watch and Wii Fit and Duck Hunt are important aspects of Nintendo's history and I'm happy they're in there. I guess Pirannha Plants have been with Mario almost since the beginning, but there are just so many other Mario characters that would have been a better fit. I would have been fine with the fake leak that included Mach Rider because, while he's random and obscure, there's not anyone else that can better represent that specific game. Can we just all appreciate how good Incineroar looks. His down B gives him this really cool effect and the animation after a hit or miss (which depends on what kind of attack it is) is really amazing. Not enough love for that, honestly. @AlexSora89... This needs to happen. I'm confused with Pirahna Plant's placement as DLC. Is he included as the first of the 5 DLC packs, or is he completely separate from it? @TJWorks He's free, for a limited time. Not part of the 5 I think. Underwhelming characters for the last Direct. I get that they can’t include a ton of new characters, but they should’ve saved some of the more exciting ones for last. Piranha Plant is a waste of so much space and should have never even been considered for the final roster. The thing is a common enemy and has no place being there over someone such as Octolings, even if that would have made it an Echo Fighter. Idiots who choose to blindly defend Piranha Plant are delusional fools, the lot of you. I won't grieve yet! DLC BABY! Hope lives another day, the sun will definitely rise again! I didn't give up in Sm4sh, won't give up now! I shouldn't be surprised about the backlash over Pirahna Plant, but man, a lot of people seem to be really spiteful over it. He was probably a joke character Sakurai & co. wanted to mess around with for fun, alongside the MANY FAN-REQUESTED NEWCOMERS that have been added in Ultimate. Just leave the poor man alone. He works his backside off but can never seem to have fun or make everyone happy. Damn I wish I was into this series! @OctoInk20 it's a troll character, relax. Besides we still have 5 more characters coming in the future. I always come up with the best crap. You have all my admiration. Besides, DLC can also mean that while Isaac sits the battle out, his son Matthew might be the real GS rep. I mean hey, all GS games are set in the same 'verse, and yet feature different playable protagonists. Would make sense for Sakurai to add the most recent rep. Not to mention Matthew is, visually, generally more appealing. Playable Pirahna Plant is THE greatest announcement for this Smash Bros. so far! Please Nintendo add Rosa or Balder from Bayonetta 2 such awesome spectacular characters. I would so happily purchase them as paid DLC . I can not wait to get my copy of Smash Bros Ultimate. Welp since Capcom wont give us SFIV, Sakurai-san to the rescue! I need somebody to photoshop PP's face onto Dan's. Some say Pirahna Plant is revenge against Waluigi supporters, but thats dumb, even if that were true. The bigger target of Sakurai's wrath is the leakers who dared to ruin our fun of surprises, I believe. He snapped at them like a Pirahna Plant. And if the leakers continue, Sakurai might pull out other unpopular characters into the mix... Like Tingle. Furthermore, if theres anything to rage about, Im considering its a WASTED slot, when any other fighter should be in. Oh man, I bought the Smash bundle as I intend to get every major thing. For $25, thats not bad compared what was offered in the Wii U days. And of course, Im getting PP. I simultaneously love and hate piranha plant as a character. I love it because it’s friggin hilarious, all the characters they could add and they added a piranha plant (and I was just saying the other day that random Mario baddies have a better chance than Waluigi because unlike him they have been in mainline games, and more games in general). But I hate it because... Sakurai, are you okay? Did you get pissed off at leaks so badly that you were like, “I’m gonna put a piranha plant in this game, let’s see anyone believes THAT as a leak”? Are you messing with the Waluigi cult, trolling them by adding this instead? Are you getting sick of trying to pick new characters and just throwing out the first thing on your mind? Are you spiraling in depression from the inescapable reality that your entire life will be people asking you to continue the same game series that you started as a fun project and never thought would consume the rest of your existence, so in a desperate cry for help your mind turns to a single, so outrageous character choice that someone might finally stop you, your fans will start to leave you alone, Nintendo will let you retire from the series, the world will question your sanity, and you will finally be able to rest your weary eyes as the voices screaming for more finally hush, yet you know deep down that even this will not be enough, nothing will ever be enough, so it doesn’t really matter who you add anymore, you’re going to have to keep waking up to continue this cursed nightmare until the day you shut your eyes for good and the world finally shoves the series on to the next poor sap? Are you just messing with us? What is your motivation here? Sakurai is willing to even put a PIRANHA PLANT in the game instead of Waluigi. I find this quite hilarious. Sakurai loves his first protagonists and franchise symbols. Isaac is both. He also happens to be the most popular protagonist out of all 3 Golden Sun MCs. He also generated a lot of buzz in speculation this time round. I think being an AT means nothing to his chances, and Matthew is a nobody compared to him. It's going to be Isaac if anyone from GS makes it in as playable. Not that I'd mind Matthew, I'd love anyone Golden Sun, it's just that I see a non Isaac Golden Sun rep as very unlikely. @Mr_Pepperami And yet, a lot of people still aren't happy and never will be. Huh. Having played all Smash games before this, it doesn't seem like there's much incentive for me to get a whole new console just to play a Smash game I feel like I've already played. The new content don't seem to motivate the transition much. Sad to say but I skipping the Switch and Ultimate altogether. I'll admit Ultimate seems like the best game in the series for new players to start with and ooh I'm jealous of them having that eye-opening experience far greater than starting with 64. Have fun! Am I like, the only person perfectly fine with the inclusion of Piranha Plant? I don't think he's a waste of space at all, but rather a pretty funny joke character. I might even main him. His Up-B looks satisfying to use. Piranha best surprise of the direct, love it! I'm glad Sakurai ain't afraid of doing something new when it comes to creating characters. Sure, fan service is nice but people really need to calm down on expectations, especially those who are salty about Piranha Plant. The perfect solution would be Isaac being a DLC fighter, and Matthew taking over the AT spot when the former gets upgraded. Not at all, but I'm afraid PP's entire existence in the Smash context is merely retaliation towards the rabid Waluigi fans, although - as in-character for Sakurai to do so as it may be - it's since been acknowledged that everything from Smash 4 DLC onwards would be pure fanservice. As for me, I have nothing against this curveball. It sounds delightfully crazy. I don't mind the characters they've added, but I do mind that they've gone ahead and ripped out so much of the single-player content from previous games. The Trophy encyclopedia was one of my favorite things to do, and the minigames that went along with it--and I hated stickers back in Brawl. They've taken All-Stars and reduced it to "Endless Smash!," their "Adventure Mode" doesn't seem to involve any platforming level elements and is really a stripped back Event Match, and we haven't seen anything talking about things like Home-Run Contest or Break the Targets at all. What made the first three Smash games awesome was the fact that it had way more to it than the "Beat up Your Friends!" mode, and Wii U and seemingly Ultimate really haven't done anything in that direction. Where's Smash Run? Where's a retooled Smash Tour? There used to be so much more to the game than this... We have an ungodly number of characters, and almost nothing to do with them. Smash got a wrestler and a piranha plant. Awesome. Such a wonderfully diverse roster! I would have double dipped for a complete "ultimate" package, but the paid DLC completely destroys the "ultimate" subtitle. I'll wait for a sale on the "complete" "ultimate" edition. Or maybe, if it's going the Street Fighter way, a Super Hyper Ultra Turbo Smash Bros Ultimate Complete DX Final Challengers 2025 UHD VR Remastered Edition. Or something like that. "Ultimate" should mean "nothing left to add". So Ken is just a more powerful version of Ryu? Don't underestimate Piranha Plant. It is instantly recognizable by most people unlike any of the other newcomers. Piranha Plant featured in more videogames than Mario himself. From what I have heard, it appeared in more video games than any other character in videogame history. And if you think it is too generic and needs more of a character, it can transform into Petey Piranha who featured in many popular Mario and Yoshi games (and Super Smash Bros. Brawl) and is playable in Mario Kart, Mario Tennis, etc. It is not a troll and using this character as revenge for a fake leak is pure nonsense. It's a genuine character with lots of development behind it. And as I said earlier, the character is kind of a record holder in videogame history for its number of appearances in games, and Sakurai recognizes its status and honors it by making it a proper Smash fighter. We all knew Ken was coming. Even so, I'm so exited! @SKTTR Sorry, but that sounds like an "ends justify the means" approach and sounds too convenient for it to be an honest statement. You can put in a Goomba and even that sounds more deserving than a Pirahna Plant, since its the very first enemy you come across in the first Super Mario Bros. And Im sure there would be a nice moveset for Goomba, too. But, to the point, you seem to want to trash somebody for having an expectation. Not cool. @N1ntendodo It's just a theory, you know, speculation. I personally would rather have Kamek, Shy Guy, Paratroopa, or Pauline as a new fighter from the Mario/Yoshi universe (and I can even appreciate Birdo, Waluigi, and Geno fans). But none of them, not even Goomba and Mario have the track record of the Piranha Plant. @IkennaSmash How? Your comment seems to be saying "It's a Port" without actually saying so. There's plenty of new stuff. The gameplay has been improved. We have fan favorite characters. Everyone is here. And that's enough not incentive to buy it? Heck. There's plenty of other great games on Switch that might tickle your fancy. Go buy a Switch for those. You're really missing out. @SKTTR ...... VideogameDunkey copycat, of course. I can sense the attempt of his comedic style. Also, it would make sense that you would put a "Liked this" on your own statement in here for added effect. @N1ntendodo It seems you think that I made a comedy statement, but that wasn't my intention. I'm quite serious about my comments, at least in this section. And I never heard about this guy you are comparing me to. Anyway, can we stay on-topic and not make odd assumptions about my comments?